We show empirically that a state group’s chairman is more likely to be promoted to higher political office if he raises productivity and if he avoids layoffs at group firms. 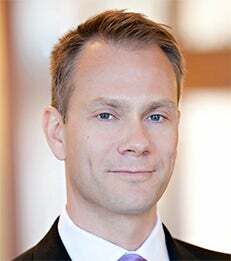 As China’s economy sputters, a timely new study by NYU Stern Professor Alexander Ljungqvist provides convincing evidence not only that state-owned enterprises in China are ultimately less efficient and less productive than privately owned enterprises, but also why they are so badly run. In “State Capitalism vs. Private Enterprise,” Professor Ljungqvist, the Ira Rennert Professor of Finance at Stern, along with co-authors Donghua Chen, Dequan Jiang, Haitian Lu and Mingming Zhou, found “startling differences” in the internal allocation of capital within 211 state business groups and 76 private business groups in China between 2004 and 2013. Their analysis of highly detailed data on internal transfers of capital – which Chinese companies were required to disclose as of 2004 – showed that private businesses shifted assets to pursue investment opportunities far more strategically than state-owned groups, which tended to employ capital with the goal of propping up failing units or maintaining the workforce. While these objectives may contribute to the Communist Party’s ideal of a “harmonious society,” the authors write, in the long term they do little to help businesses thrive in a competitive economy and create jobs, and thus are ultimately misaligned with the state’s interests.